I was sent these quite a while ago as a gift, but I thought I'd finally get around to reviewing them. Hopefully someone is still interested in hearing about the Beauty-Full Volume line of products. I have extremely thin hair, so I jump at any product that mentions volume. I've found some winners in my time, but are these on my winning list? Let's find out! They came to me in a thick black gift box, which was very nicely packaged. 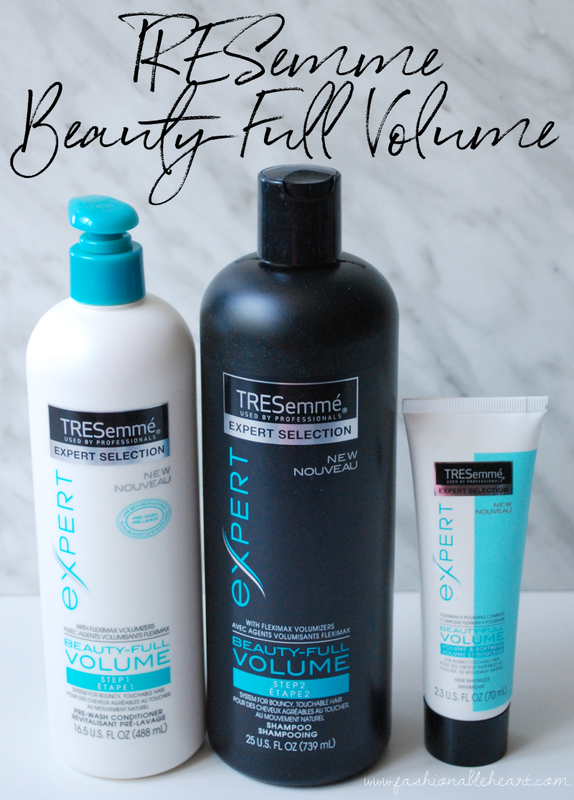 The Beauty-Full Volume line consists of a conditioner, shampoo, and a maximizer. I love that the conditioner comes with a pump, but wish the shampoo also did. It's broken down into two steps - conditioner first (really!) and then shampoo. 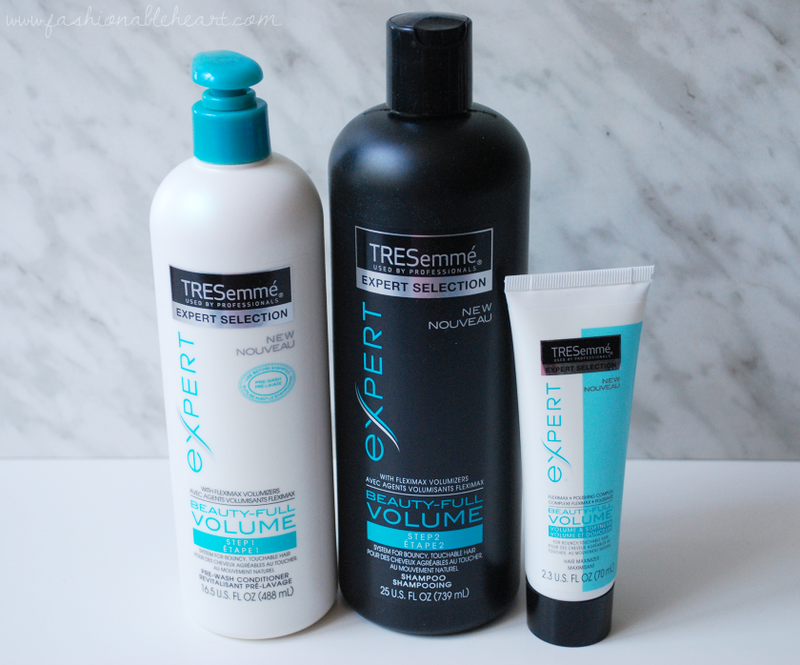 TRESemme's reasoning is that conditioner after shampoo leaves the hair flat, so they've created a pre-wash formula. I admit that sometimes conditioner can make my hair weighed down, but this seemed a little gimmicky to me. But then, I used it. It still weighs my hair down a tiny bit (but again, my hair is really thin), but nothing like what regular conditioner is capable of. It makes my hair super soft. A little too soft if I use too much. Is the difference in their formula or actually because it's being used before rather than after shampoo? On that particular note, I haven't experimented. 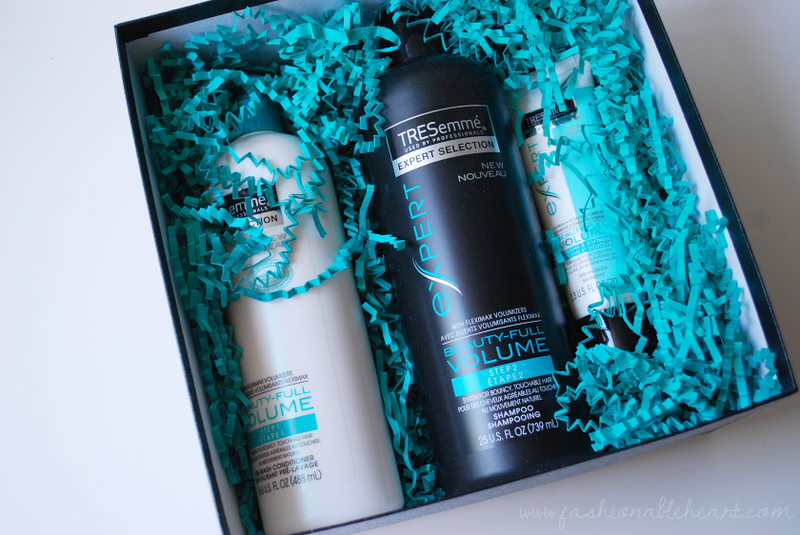 I don't have a past with too many TRESemme conditioners, but I usually enjoy their shampoos. This one is no different. The scent always makes me think of a salon. Again, I wish this had a pump like the conditioner. I can't say that I noticed a great deal of volume from either product or using the two together. The smell is nice and it leaves my hair feeling clean, but just not as much volume as I have gotten from different lines in the past. The hair maximizer is okay. For me, it's just too much. I don't like to add a lot of different products to my hair and I feel like this one is really easy to go overboard on. I also didn't notice much of anything happening. I think this set will be great for those who have hair thicker than mine for a little added volume. For the quality, scent, and leaving my hair feeling clean, it definitely succeeds. The pump on the conditioner gets an A+. The big sizes last a nice long time. I like this line, but I'm not in love with it. I have certainly tried worse! **I was sent these products for testing purposes. All opinions and pictures are my own. There are no affiliate links in this post.